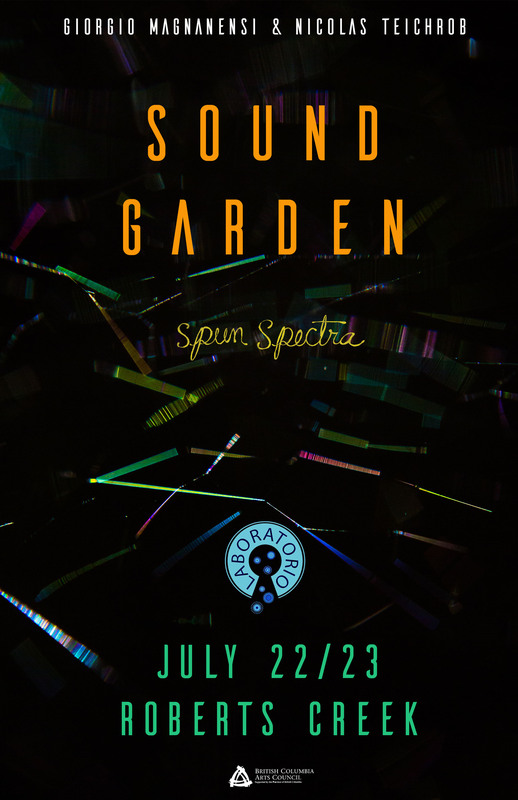 “My wife and I attended an event by Giorgio Magnanensi with Nicolas Teichrob called Sound Garden this past weekend and would like to extend our appreciation for this taking place. As Sunshine Coast residents and professional artists it was most inspiring to be taken away from the Bricks and Mortar approach to art expression and be transported intoa wonderfully selected and orchestrated location where the experience of the musical and visual art was seamlessly intertwined with the amazing canvas that nature provided. The benefits to the Sunshine Coast for this type of weekend event are varied and many, but for us specifically, it is assurance that interesting contemporary expression of the arts is being demonstrated at a very high level. This event breathes life into all aspects of creative expressions on the Sunshine Coast, promotes exploration, demonstrates positive creative leadership and fosters better understanding of why we live and culturally develop here on the West Coast. Sound Garden also has the cool factor that will be talked about off the coast and around the world…in fact, we were just sharing the experience along with pictures with family and friends in Europe, and this makes us look like we live in a culturally rich and developing environment.